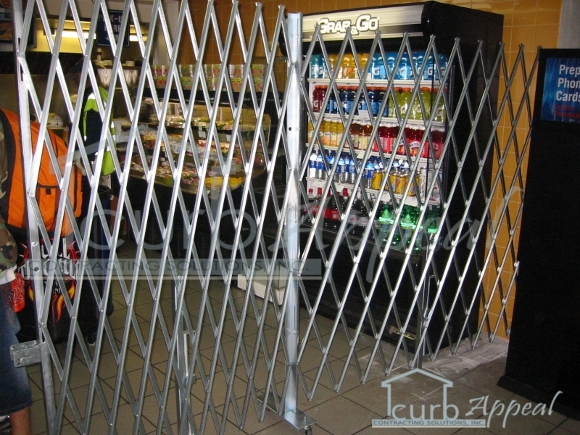 We offer repairs and installation of folding gates in our metro Atlanta, GA service area. Contact us at 678-714-7393, or online, for more information on our folding gate repair and install services. We also service other types of commercial doors and openers. We offer repairs to most brands and models of folding gates and scissor gates. As they are typically used for security purposes, we understand how important it is for your folding gate to function properly. We offer same day repairs in most cases. We install multiple brands and models of folding gates. Top and bottom track retail security gates, pair and single dock door security gates, and scissor gates are all available for installation in the Atlanta, GA area. Contact us online, or at 678-714-7393 to learn more about our services.